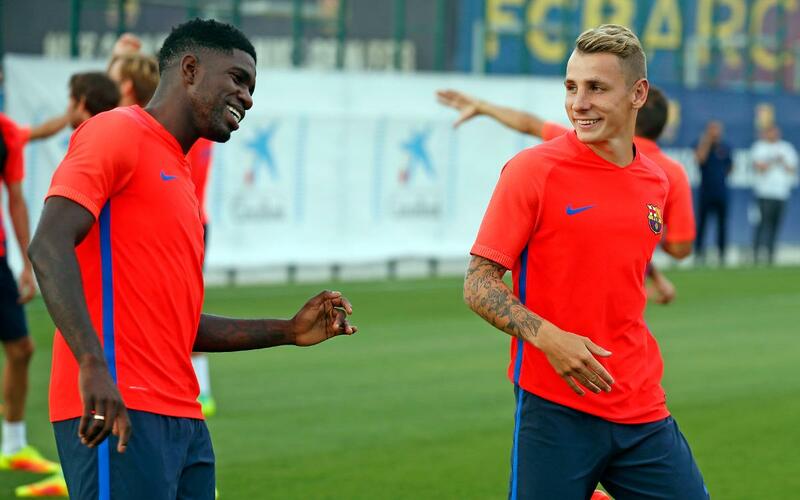 FC Barcelona held a light session at Ciutat Esportiva on Thursday evening after competing in the Spanish Super Cup second leg the night before. Luis Enrique’s side overcame the threat of Sevilla with a 3-0 win on Wednesday to claim the first piece of silverware of the domestic season (5-0 aggregate) and, therefore, the manager opted for a less intense workout for his players. Joining the session, as well as all available first team players, were five from the reserve side: José Suárez, Cámara, Kaptoum, Aleñá and Martínez. Barça now have their minds fully set on the first league match of the new campaign, which sees Real Betis visit the Camp Nou on Saturday (5.15pm CET). The first team will return to work on Friday morning at 9.30am CET which will be followed by a press conference with Luis Enrique.